ME: Hi I'm looking for a flight from Denver to Portland for me and my spouse. Do you have a military discount? SWA: Yes we do. It is only available for active duty however. ME: Great, can my wife use the discount also? 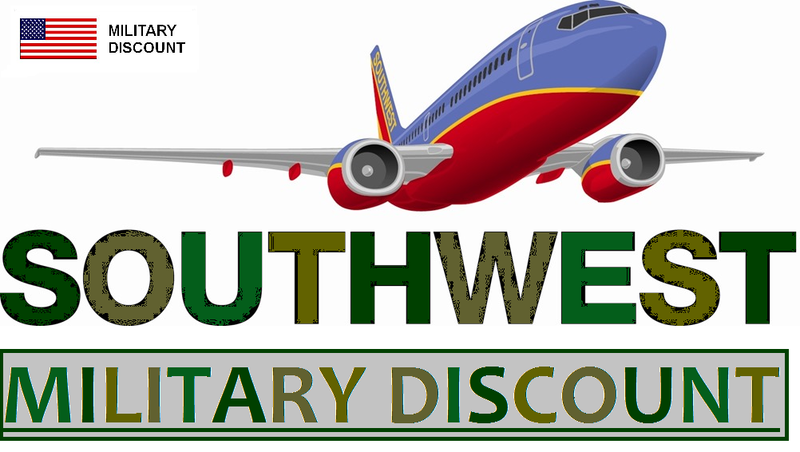 SWA: Yes, dependents get the discount also for active duty military. They need a valid dependent ID card however. ME: Awesome. Can you tell me how much the discount is? SWA: The Military Discount Price for the day you want is $92 ($113 with all taxes and fees). ME: Fantastic that is over $80 cheaper than buying it on southwest.com. Thank you, I'll go ahead and buy them now. It's simple. Just call 1-800-I-FLY-SWA and ask about their military discount. Can I use rapid reward points to pay for the tickets? Are the military fares refundable? Can dependents travel solo without the active duty member? Do you offer discounts for disabled vets or just active duty? My husband is a disabled vet who did 2 tours in Iraq. Served our country for 14 years but because he's not active he can't get a military discount? He didn't pick and choose who he protected while serving so how is it fair that you guys get to pick and choose who gets the discount. I think all active and former military should get the discount. Southwest is our airline of choice but I think we might just go with another one from now on. I'm a Southwest employee (13) years &retired / disabled military vet...I get more of a discount with places like Lowe's, Home Depot, & Auto zone than I do with my own employer...I didn't even hear from my Company when I was deployed to Iraq. Thank for nothing Southwest! It is a good deal for last minute flights. If you or buying months in advance, you normally get a better deal online. Thanks Christina. The flight I booked was within 2 weeks so that was true in my scenario. I just looked on Southwest.com and the cheapest flights were about 4 weeks out and were around $114 so still more expensive than the military fare in my case but still a lot closer.